Thanks. The long list is very annoying, but not enough for me to do anything with it... yet. Now I'll now how to simplify the project setup process. That's pretty much how it is with me too, Marek. 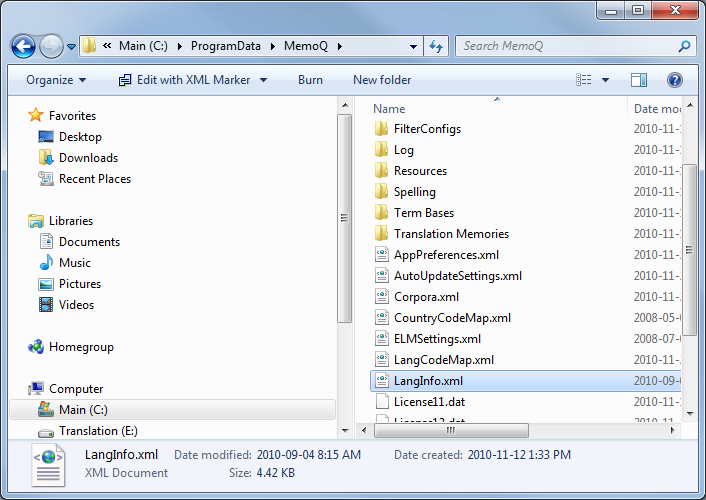 I've changed LangInfo.xml several times, but then I forget to back the modified file up or put it on a new system. Thus the reminder (to myself as well) in green at the end. 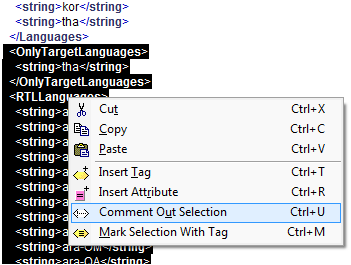 What worries me a little about telling people to chop down their language list this way is that those who do not understand tag mark-up run the risk of placing the comment markers in the wrong location so that the uncommented portions have an "unmatched" tag. 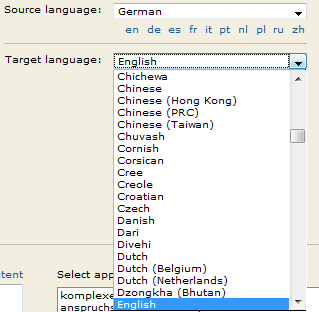 I don't know how memoQ will react to this (nor have I felt like screwing up a file to test this). Kevin, be careful with your wording. I am an eager learner, I love creative American English, and I might as well turn up in Berlin one day. 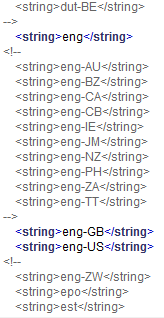 I'll practice my pronunciation of "regular expressions" in the meantime. Perhaps you should look again, Claudio - it's still there.